Our series on the US at the World Cup continues with a look at the team’s run at the 2002 tournament, co-hosted by South Korea and Japan. The US had been humbled at the 1998 World Cup, its poor performance on the field — one goal scored in three losses — mirrored by acrimony and dissent off the field. Four days after the last match of the group stage, a 1-0 loss to Yugoslavia, US coach Steve Sampson, by now the focus of widespread criticism from within and without the US team, resigned. In October of 1998, Bruce Arena was named as Sampson’s replacement. Though Arena had a notably successful career as a coach at the University Virginia, with five national championships including four in a row in 1991-1994, his national team experience was limited to a 1-1-1 record at the 1996 Summer Olympics in Atlanta. At the club level, Arena had enjoyed far greater success with DC United including two MLS Cup and one US Open Cup victory. Reaching the CONCACAF Champions Cup semifinals in 1997, he went on to lead DC United to win the Champions Cup in August of 1998 and followed that by winning the Interamerican Cup in November. All in all, not a bad way to kick-start one’s national team coaching career. Arena would enjoy the full support of the United States Soccer Federation, as well as an unprecedented $2 million salary. He and his team rewarded such confidence quickly, defeating Germany 3-0 in February of 1999. Six months later Arena’s team defeated Germany again, this time in the Confederations Cup, where the team would finish third after falling to Mexico 1-0 at the Azteca in the semifinals. 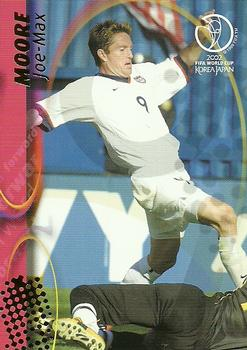 In the meanwhile, the US also defeated Argentina 1-0 in a friendly at RFK on June 13, 1999 thanks to an 88th minute goal from Joe-Max Moore. At the start of the US qualification campaign for the 2002 World Cup, Arena had guided the team to an 11-6-6 record. While the country had embraced the US Women’s team after their victory in the 1999 Women’s World Cup, much was at stake for soccer in the US. Aside from wishing to erase the memory of the team’s dismal performance in 1998, MLS continued to struggle. If the prospects for soccer were to improve, it was essential that the US team have a good showing at the 2002 World Cup in South Korea and Japan. Before they would have that chance, they would have to make it through sixteen matches of semifinal and final qualifying. The first two qualifiers were away games. If that wasn’t tough enough, they each took place in July when conditions were sure to be hot and humid in Central America. 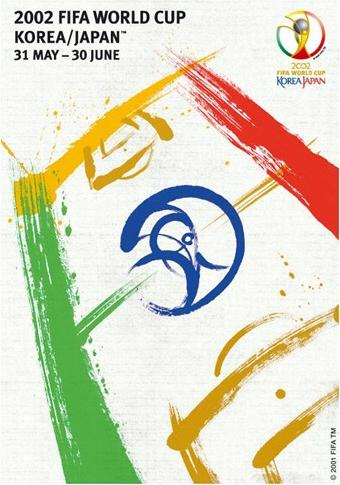 For the first match on July 16, 2000, Guatemala sought to advantage of the local conditions: only a few weeks before the kickoff, they moved the location of the match from cooler Guatemala City to the tropical provincial city of Mazatenago. Ante Razov gave the US a 1-0 lead just before the half at Estadio Carlos Salazar thanks to a pass from Claudio Reyna. As the second half progressed, the conditions began to tell on the many European-based players on the US side, playing as they were in their off-season, and Arena was slow in making substitutions. Momentum shifted to Guatemala and Carlos Ruiz equalized in the 88th minute, despite the fact that many believed he should have been ejected from the game after two clear fouls on Kasey Keller and defender Robin Fraser. All in all, the US was satisfied with a point on the road in such conditions. The team next faced Costa Rica on July 23 at Estadio Ricardo Saprissa in San Jose. Rolando Fonseca scored for Costa Rica in the 10th minute with a header. 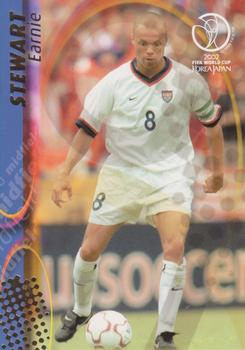 Earnie Stewart equalized for the US in the 66th minute when he pounced on the rebound from Razov’s shot. The game would end controversially when Gregg Berhalter was called for a disputed handball in the penalty area and Hernan Medford converted the penalty kick in the 90th minute. Both Reyna and Arena verbally abused the official after the match — Reyna went so far as to throw his captain’s armband at him. Two months later, FIFA suspended Reyna for the next two qualifiers and Arena for three. With only one point after two away games, the team desperately needed to win their next match. When they faced Barbados at Foxboro Stadium on August 16, the US completely dominated from the opening whistle. Their efforts were helped by the fact that two Barbados players had been given red cards by the end of the first half. The final score was 7-0 for the US with goals by Eddie Pope (14′), Brian McBride (28′), Joe-Max Moore (45′, 82′), John O’Brien (46′), Tab Ramos (72′) and Earnie Stewart (74′). It was the highest goal tally for the US in a World Cup qualifier, topping the six scored against Bermuda in 1968. Now in second place over Guatemala on goal difference, the seven goals could prove to be very valuable. On September 3 the US faced Guatemala at RFK Stadium. Despite the fact that Eddie Lewis had been sent off in the 66th minute, Guatemala seemed content to settle for an away point and the match remained scoreless through the 72nd minute when McBride scored with a left-footed volley to beat Guatemala keeper Edgar Estrada. The 1-0 victory put the US in second place in the group with seven points, just two points behind first place Costa Rica, who they would meet at Columbus Stadium on October 11. With Reyna, Lewis and Stewart suspended from the match, and McBride, Ramos, O’Brien, Pope and Brad Friedel injured, the US fielded a side that contained only five of the players who had faced Guatemala in the team’s first qualifier just a month before. A win would have secured advancement to the final round of qualifiers for either team. Instead, the result was a 0-0 draw. The last match of the semifinal round would be away against Barbados on November 15 and was a must-win for the US if it was to be in control of its own destiny rather than rely on the outcomes of other qualifiers. In the first half, the US had difficulty moving the ball accurately on a pitch that was as wet as it was bumpy. Clint Mathis finally put the US on the board in the 63rd minute after finishing a pass from Moore. Stewart made it 2-0 in the 73rd minute. Four minutes later, Cobi Jones added another goal. Razoz finished things off with a fourth goal in the 90th minute and the US was through to the final round of qualifiers. Just as Guatemala had sought to gain an advantage by hosting its match against the US in a tropical city in July, the US looked to gain advantage by locating their first match of the final qualification round, scheduled for February 28, 2001, at Columbus Crew Stadium in Ohio. Their opponent would be Mexico, who the US had defeated 2-0 in a friendly at the Memorial Coliseum in Los Angeles on October 25 in front of 61,072 with goals from Landon Donovan and Josh Wolff. With the temperature below freezing and backed by an overwhelmingly pro-US crowd, the team gained a 2-0 victory over Mexico. Other than injuries to Reyna and McBride, nothing much happened in the first half. In the 47th minute, Wolff, who had come on for the injured McBride in the 15th minute, struck again against Mexico for the first US goal with what was the first US shot of the match. Mexico threatened to equalize but Stewart’s goal in the 87th minute secured the win. It was the beginning of Dos a Cero. The US traveled to Estadio Olimpicos in San Pedro Sula to face Honduras on March 28. Injuries were again a factor with McBride, Moore, Pope, and Reyna all sidelined. Stewart put the US in the lead in the 33rd minute when his 25 yard shot deflected off the back of defender Jose Reynaldo Clavasquin to wrongfoot Honduras keeper Noel Valladares. The home team came out with a vengeance in the second half and Julio Cesar de Leon scored an equalizer in the 59th minute. The US defense remained firm against the Honduran attack and a tie seemed likely. Then, in the 86th minute, Mathis scored a beautiful goal with a sharply taken free kick from 22 yards out. Against expectation, the US had won. The US next hosted Costa Rica at Arrowhead Stadium in Kansas City on April 25. As had been the case in their last meeting, a handball was to be decisive. In the 70th minute Jeff Agoos’ corner kick was headed by Mathis to Wolff, who then pushed the ball across the line to score. But when Mathis headed the ball he also swiped it with his arm. The Costa Rican players did not argue the noncall as much as the US had argued the called foul in July and the US was suddenly top of the final qualification group with nine points. Costa Rica, Jamaica and Mexico were tied for second with four points each. The US met Jamaica at Kingston’s National Stadium on June 16. Playing conservatively, the US was happy with the point gained from the 0-0 draw. Solid defensive play had frustrated the Jamaican attack and two Jamaica goals were rightly called back. On June 20 the US hosted Trinidad & Tobago at Foxboro Stadium. As had been the case in the previous games of this round, the US offense did not look particularly strong. Still, the defense was solid and the result was the team’s eighth shutout in its last nine qualifiers. What offense there was came in the first twenty minutes with Razov scoring in the 2nd minute and Stewart in the 20th. Now at the halfway point of the final qualification round, the US had thirteen points, ahead of second-place Costa Rica by three points. Incredibly, Mexico was in fifth place with only four points. On July 1 the US traveled to Estadio Azteca to play Mexico. Enrique Meza had been replaced by Javier Aguirre as coach and the Mexico team was determined to keep its World Cup hopes alive. With Mathis injured, Reyna suspended, and O’Brien not available because his club team, Ajax, had threatened to bench him for the rest of the season if he played, the US fielded a weakened midfield, and Mexico dominated play from the opening whistle. In the 16th minute Alberto Garcia Aspe’s free kick from 40 yards out found an unmarked Jared Borgetti for the only goal of the match. Once again the US had lost at the Azteca. With Costa Rica’s victory over Honduras earlier in the day, the US was now in second place on goal difference. On September 1 the US hosted Honduras at RFK Stadium. Again the US was missing some key starters and Honduras dominated the home side. Stewart scored for the US in the 7th minute. Milton Nunez responded for Honduras in the 28th minute and the score was tied 1-1 at the half after Stewart’s weak penalty kick was saved. A questionable penalty led to Carlos Pavon converting in the 59th minute. In the 76th minute, Nunez got his second goal of the match to make it 3-1. Stewart got his second of the match in the 83rd minute but the US could do no more, losing 3-2. The US next faced Costa Rica on Sept 5 at Estadio Ricardo Saprissa. Costa Rica dominated the match and two goals by Ronlando Fonseca — one from a penalty kick in the 40th minute after a late tackle by Carlos Llamosa, the other from a breakaway in the 68th minute — gave them a 2-0 victory and clinched their place in the 2002 World Cup. The US was now tied for fourth place with Mexico with only two games remaining. On October 7, the US hosted Jamaica at Foxboro Stadium. Despite the importance of the match, the US gave a less than impressive performance. Still they scored quickly, first in the fourth minute when Moore’s diving header finished Reyna’s free kick put the US up 1-0. Ten minutes later Jamie Lawrence equalized for Jamaica. The match remained tied until the 81st minute when Landon Donovan was brought down in the box. Moore converted the penalty and the US had the much needed win. Improbably, the victory was enough to clinch a place for the US at the World Cup. With Mexico being held to a draw by Costa Rica, and Trinidad & Tobago, who had until now only managed one point, beating Honduras away, the US was assured of a third place finish even if it was to lose its final match. That final match took place at Hasely Crawford National Stadium in Port-of-Spain against Trinidad & Tobago. With nothing at stake for either team — a sharp contrast to the 1989 qualifier when Paul Caligiuri’s dramatic goal had put the US in the World Cup for the first time in forty years — the game produced little excitement and no goals. No matter, the US was going to the World Cup, tied with Mexico on seventeen points but in third place on goal difference. Whether the US would be able to erase the memory of their terrible showing at 1998 World Cup remained to be seen. Bruce Arena had used 31 different players in the sixteen qualifying matches in 2000 and 2001. The large number of players used was as much related to injuries and suspensions as it was to the desire to try emerging new talent like Landon Donovan and DaMarcus Beasley. 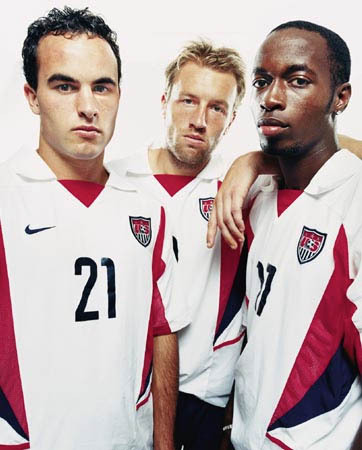 Both Donovan and Beasley were members of the first U-17 US Soccer residency program in Bradenton, Florida, in 1999, a class that also included future national team notables Kyle Beckerman, Bobby Convey, and Oguchi Oneywu. Beasley was also a 1999 member of the joint MLS-US Soccer backed and Nike-sponsored Project 40 program, now known as Generation adidas after the German sports company took over sponsoring the program in 2005. 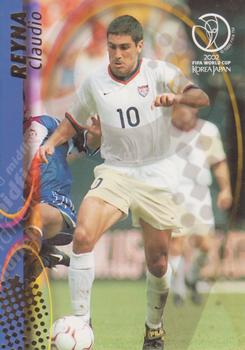 By the time the US had won the 2002 Gold Cup on February 2 by defeating Costa Rica, Arena had largely settled on his World Cup roster, one which featured eleven players from MLS (all of whom, except for backup goalkeeper Tony Meola, would appear in the tournament), six from England and six from other European leagues. Even with Donovan and Beasley, both of whom were 20-years-old when group play in the World Cup began, the average age of the squad was 29, filled out as it was with eleven veterans of the 1998 World Cup team. At the 2002 World Cup, Arena would start sixteen different players, using different lineups for each of the team’s five matches. We’re not going to win [the World Cup] because we’re not a good enough team. I don’t think anyone is going to be damaged by us saying that. I mean, how many countries have won it? If we can get a point in the first game, it will put the whole group in chaos. Hoping for a point against Portugal’s “golden generation” in a group that included Poland and host country South Korea seemed reasonable enough. With veterans like Claudio Reyna and Clint Mathis injured and newcomers like Pablo Mastroeni, Beasley, and Donovan making up a starting eleven that had never been tried before — David Wangerin notes in Soccer in a Football World that before the match Arena joked with reporters that none of them could name his starting lineup — surely a victory would be too much to hope for? The US met Portugal on June 5. 2002 at Suwon World Cup Stadium (all of the US games at the 2002 World Cup would take place in South Korea). 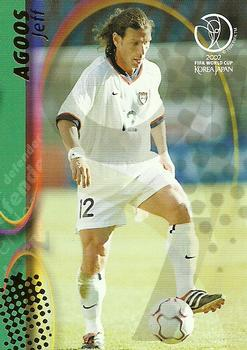 Four minutes into the game a Brian McBride header from a corner kick by Earnie Stewart was parried by Portugal goalie Vitor Baia directly to the feet of John O’Brien, who promptly put the ball into the net. Some 26 minutes later, a Donovan cross was deflected by defender Jorge Costa toward goal and Baia was unable to make the save. In the 36th minute, Tony Sanneh crossed to a diving McBride for a beautiful header to make it 3–0. Mastreoni recalled later, “After the first goal, I didn’t really celebrate, I just jogged back. The second goal, same thing. But after the third goal, it was like, ‘This is for real. '” For the first time since the 1930 when Bert Patenaude had scored the first hat trick in the history of the tournament, the US had scored three goals in a World Cup match. How “real” it was became quickly apparent when Beto Severo scored for Portugal in the 39th minute. When an own goal by Jeff Agoos made it 3–2 in the 70th minute, history buffs began to draw references to Portugal’s come-from-behind win over North Korea in 1966 when they had also been down by three goals and fought back to win, 5–3. While much of the final 45 minutes was played in the US half of the field, the team managed to hold on for its first World Cup victory on foreign soil in 72 years. South Korea had been creating some chaos of its own, winning its first match against Poland, 2–0. When the US stepped onto the pitch at Daegu World Cup Stadium on June 10 they encountered a wall of noise generated by the home support that must have be reminiscent of what they regularly encountered in qualifying matches in Mexico or Costa Rica. South Korea would dominate much of the match, outshooting the US 19–6, with seven corner kicks and none for the US. But they had yet to establish their dominance when the now starting — and Mohawk sporting — Mathis received a through ball from O’Brien and left-footed it past goalkeeper Lee Woon-jae in the 24th minute. Friedel put in an outstanding performance that included saving a penalty kick from Lee Eul-yong in the 41st minute and two spectacular saves of shots from Seol Ki-hyeon. Ahn Jung-hwan’s flick-on header from Eul-yong’s free kick finally gave South Korea the equalizer in the 78th minute. In the 87th minute South Korea had its last best chance to win the match when Choi Yong-soo sent a shot from ten yards out over the bar, but the US managed to hold on for a draw. Sometimes a draw can feel something like a victory. Given the South Koreans’ dominance throughout the match and voracious home support, this was one of those times. Though they had been outplayed, the US had managed to hold on for what would become a crucial point with winless Poland up next while South Korea still had to face Portugal. With Poland already eliminated, the US needed only a tie in their match against Poland at Taejon World Cup Stadium on June 14 advance to the second round. Poland, however, had other ideas. Three minutes into the match Emmanuel Olisadebe made it 1–0 for Poland when he poked home a deflection from a corner kick. After five minutes of play Poland was up 2–0 thanks to a goal from Pawel Kryszalowicz. In between those two goals, a goal by Donovan was called back. Marcin Zewlakow made it 3—0 in the 66th minute. In the 83rd minute Donovan scored what amounted to a consolation goal. From only needing a tie to advance it now seemed that the US was finished, for surely Portugal, who had shellacked Poland 4–0 four days earlier, would beat South Korea. But, 115 miles away, at Incheon Munhak Stadium, the improbable had happened. In the 70th minute, Park Ji-sung scored against a Portugal side that, after two red cards, was down to nine men, to give South Korea seven points and a first place finish in the group. The US finished in second place with four points. Portugal and Poland, each with three points, were going home. At Jeonju Stadium on June 17, the US faced Mexico in the Round of 16. It was somehow fitting that the US would now face its bitterest rival for, if ever there was a time to prove to the world that the US deserved its place in the tournament, it was now. It helped that the US had won four out of five of their last meetings with Mexico. For the first 36 minutes of the match, the US absorbed Mexico’s pressure. Then, McBride quickly took a free kick to set Reyna free on the right, who passed the ball to Josh Wolff at the near post. Wolff then pushed the ball out to a lurking McBride who scored with a blast from 12 yards out. Ten minutes into the second half, Mexico was denied a certain penalty and possible red card when O’Brien appeared to punch a shot clear of goal with his right hand. Ten minutes after that, Donovan’s header in the 65th minute made it 2–0. Increasingly frustrated, Mexico started getting chippy, and an ugly challenge on Cobi Jones resulted in Rafael Marquez being sent off in the 88th minute. But dirty play was no more effective than clean play and the US was on its way to the quarterfinals, continuing their best campaign since reaching the semifinals at the inaugural World Cup in 1930. While Germany had reached the quarterfinals or better in thirteen consecutive World Cups, the 2002 team were not as strong as the World Cup winning teams of 1974 or 1990 and many wondered if this would be the match in which they would stumble. The US felt confident enough to take the attack to Germany from the start but simply couldn’t convert their chances. Late in the first half, momentum shifted to Germany and they began to threaten the US with a series of dead-ball opportunities. In the 39th minute Michael Ballack headed home a free kick from Christian Ziege to give Germany a 1-0 lead. Germany spent the second half defending their one goal lead and were eventually outshot by the US 11–6. Berhalter’s volley in the 50th minute was saved only by a Torsten Frings handball and Sanneh’s header in the 80th minute was just barely wide. In the end, the US simply couldn’t finish their chances and the match ended 1–0 for Germany. While some suggested that the German’s had simply absorbed the US attack, others felt that the US had clearly outplayed their opponents. On any given day, Frings’ handball might have been called and Sanneh’s header gone in. In the moment, despite their disappointment, the US players could be proud of their performance for they had played well and hard, and done much to quiet the ghost of 1998. Germany would go on to beat South Korea 1–0 in the semifinals before losing 2-0 to Brazil in the final. Whether Arena and the US soccer were building an organization that could rightly claim a place among the upper echelon of the world’s game would be a topic for the next World Cup. Awesome article. Brought it all back. That handball by Germany was intentional. I’m still outraged. Landon looks like James Van Der Beek in that first picture. This World Cup was hard to watch most of the games where in the middle of night. I practically remember nothing because I was half asleep during the games. The greatest sporting event in my entire life. I never thought I’d see the US get out of the 2nd round in a World Cup. When that Mexico game was over I had tears in my eyes not believing I witnessed that moment. The night of that game I stopped at a store for caffeine beverages and the Mexican clerk laughed at me and said “your gonna lose”. LOL! Then, our guys went toe to toe with Germany and it was amazing. It’s why I buy season tickets for the Union no matter what. It was that important and we can never stop supporting the sport here. Fun to read again. Thanks for this piece.